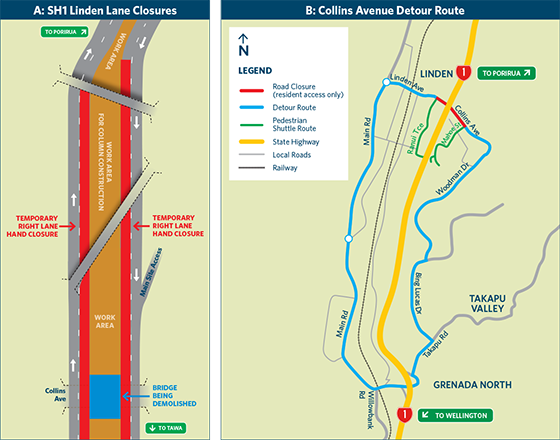 Between 6am and 6pm on Saturday 3 November, State Highway 1 at Linden will be reduced to one lane each way for up to eight hours. Additionally, Collins Avenue in Linden will be closed for 12 hours in both directions where it passes under the state highway. These closures are to ensure the safety of all road users, residents and workers while a section of the Collins Avenue over-bridge is demolished. Significant delays are expected. Please avoid travelling through this area if possible during this time or plan for your journey to take longer than usual. If work cannot proceed for any reason on Saturday, it will resume on Sunday. Local residents are advised to expect significant noise when demolition work starts from 6am. 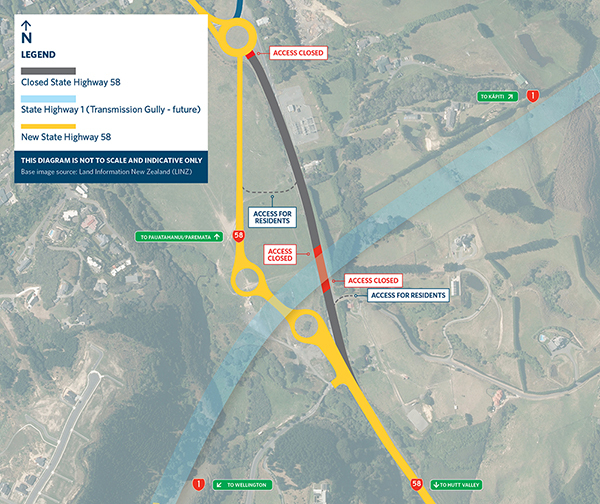 We apologise for any disruption caused while this critical work for the Transmission Gully Motorway is carried out. 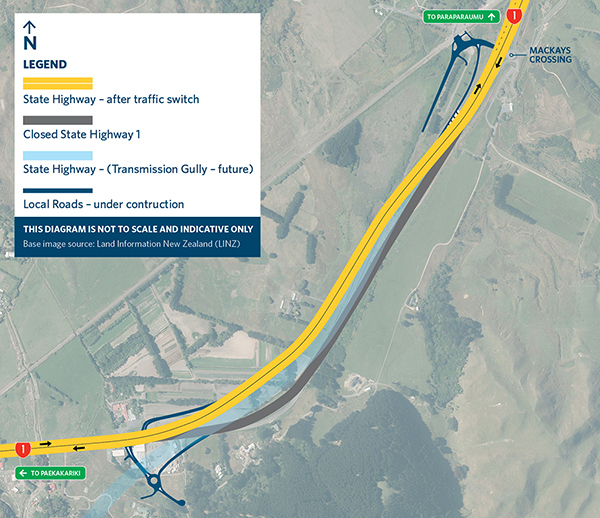 A: In the lead-up to this work, State Highway 1 lanes have been moved outwards to create a central work area in the median between northbound and southbound lanes, as shown. B: A detour will be in place for Collins Ave users as follows.